I recently chanced upon a Common Palmfly butterfly (Elymnias hypermnestr) while it was laying its on a Red palm plant. 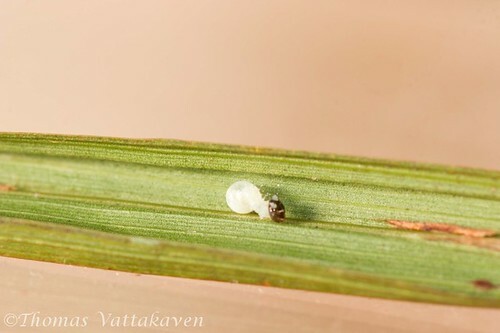 I decided to keep watch over the egg and see if I could get a image sequence of it emerging. 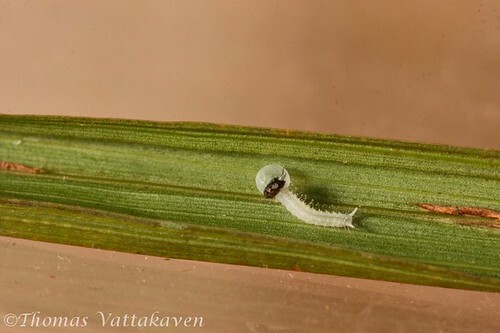 I took over 600 images over 8 hours before the caterpillar emerged. Shown below is a time-lapse video that I put together from those images. 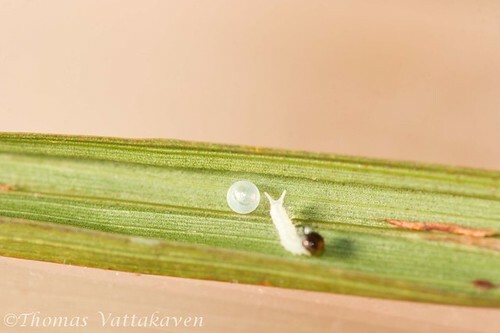 Note how the caterpillar moves about, within the egg. Just before emerging it seems to circle the opening, perhaps making a cut from within, before pushing its way out. 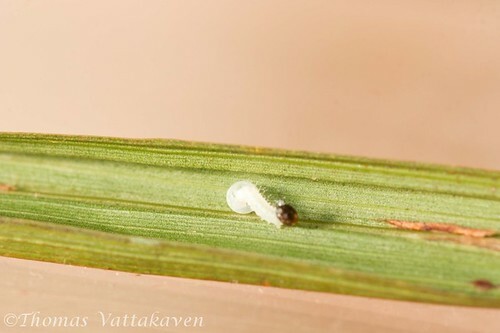 It later returns to the shell and eats most of it. 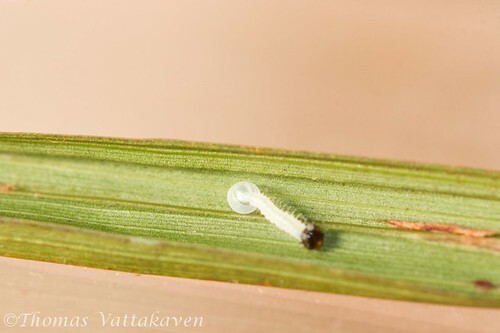 What appears to be eyes within the egg are actually its “antennae” as you can see later on the emerged caterpillar. Above, the caterpillar is circling within the egg just before the cut is made. 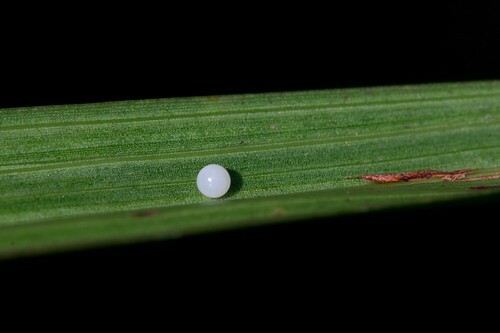 It then pushes its way out, head first through the “hatch” that it has gnawed in the egg shell. 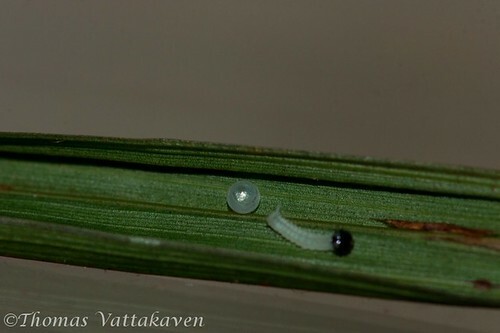 Here, you can see the two white bits on its “antennae” which was seen from outside the egg as “eyes”. 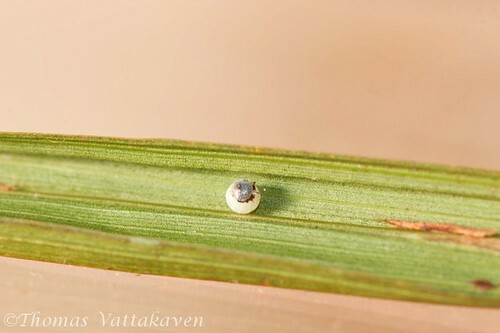 …and moves away from the egg shell for a little distance… before it realizes that it has forgotten something and turns back to head to the egg shell again. 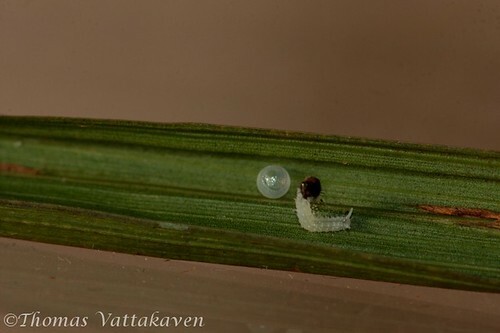 I now, re-adjusted the aperture to (f14) to get both the egg shell and the caterpillar in focus. 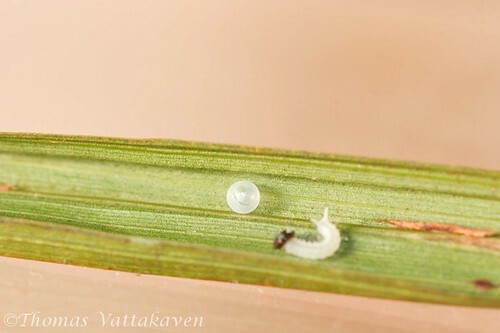 Once back at the shell, the caterpillar proceeds to much on the egg-shell. 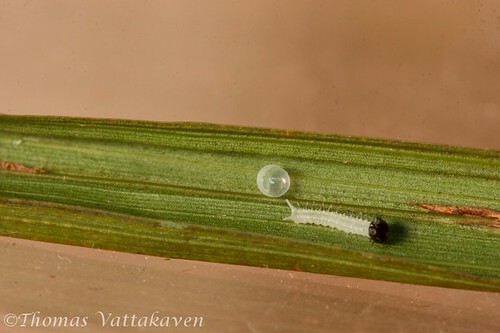 This is common behaviour in caterpillars, and the egg shell is often its first meal after it has emerged. 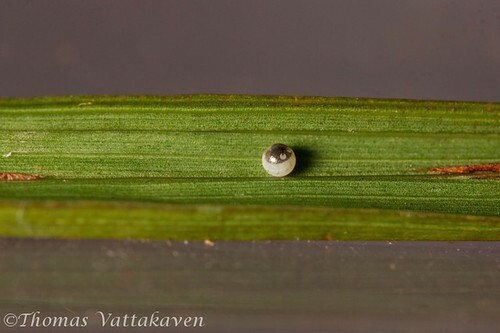 It is thought that the egg shell provides it with plenty of nutrients. 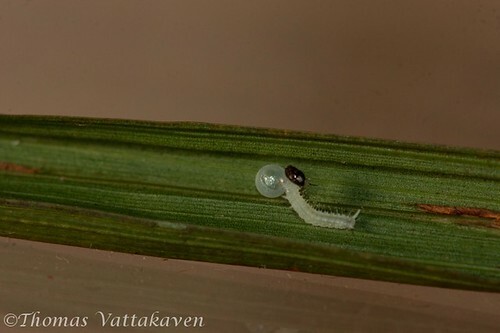 Once done eating the shell, it wanders off in search of plant leaves to eat. If you have enjoyed this series, please share this page. If you use Google Chrome, install our Chrome extension from here.